Upon arrival in Morristown, we will walk (for less than 10 minutes) to Rod’s Steak & Seafood Grille for an early lunch. You will be able to choose either soup or house salad for your appetizer, Caesar salad, imported penne pasta and chicken, crab cakes or petit mignon for your main course, and coffee or hot tea for your beverage. All other beverages are extra. 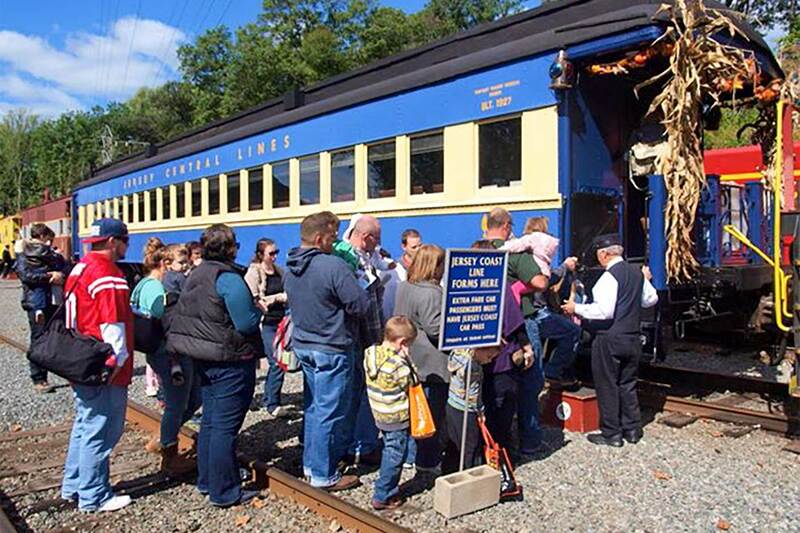 After lunch, we will travel by motorcoach to the nearby Whippany Railway Museum in Whippany, New Jersey to view their equipment and ride in their club car (on a space available basis; overflow passengers will sit in the coach car). The price for the trip is $95 ($85 seniors) if payment is received by November 20. Between November 21 and December 1, ticket prices are $100 ($90 seniors). After December 1, ticket prices are $110 ($100 seniors). Your reservation is confirmed only with full payment. Download the PDF below to order. For more information, phone Steve Kalka at 516-660-1972 or email trip@nyrre.org. It will be an unforgettable day you won’t want to miss! Click here for the Whippany Trip order form.